Nashville...what can I say? I don't think I would have ever thought to visit this famous capital of country music if I hadn't been forced to do so. 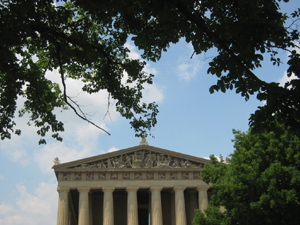 But, Nashville had it's own little charm despite the excessive heat and humidity. 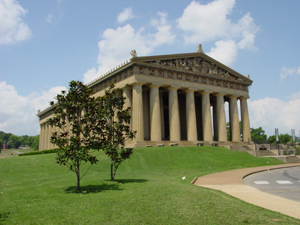 I suppose I can't forget to mention that Nashville is indeed famous for it's music row and country music. There are musicians playing every day of the week, in clubs/bars and there will be never lack of crowd anywhere. If only I was into country music! Cheekwood farm is worth a visit when you are in Nashville. It's a bit out of the way, but cab ride isn't that expensive and you get to see a large former estate of a tycoon. The large expanse of gardens are definitely worth a visit. Don't be surprised by the funk sculpture gardens. There is a beautiful view into the garden from the estate house. The house museum is definitely worth a visit although some of the art in there might not be to your taste. 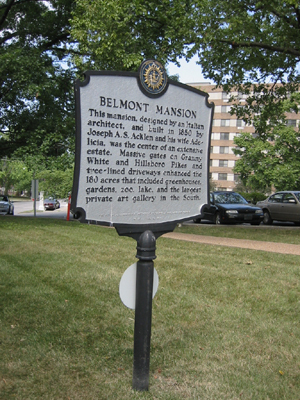 Belmont mansion is situated inside Nashville. Actually it's right by some college or another and as a mansion, it's worth a visit. 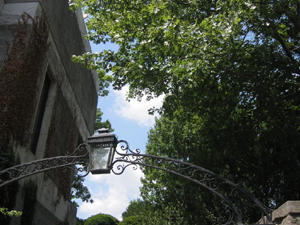 It preserves lots of the old southern mansion charm. It had once been converted to a girl's school and all that, but the remnants of those have been removed to be replaced by its former splendor of the beautiful furniture and porcelain dishes. I never thought to see a Parthenon outside Athens, but there is was. Although it was brown, it was quite a nice replica of Greek Parthenon. I am not sure why and who thought to do this, but we wandered the park areas near Parthenon. It helped that our hotel was just right across the street from this giant structure. You might be fooled by the name "farm", but it is definitely not a farm, but more of a garden estate. There is a house museum in the center of multiple different kinds of garden. 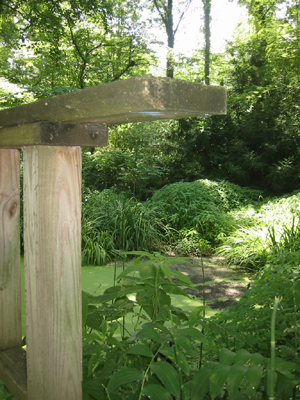 Some garden paths leads you down to a little pond and a bridge where you can see few frogs through the green plant coverage of the pond. 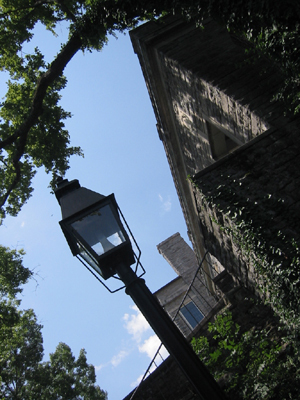 There is shade here where you can find some respite from all that sun and heat. 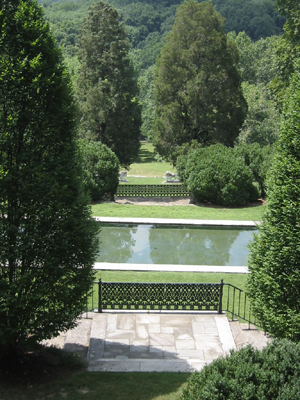 The pond path leads to fountain and garden house. Not sure who might have been in this little wooden house, but it certainly would be perfect for an aspiring artist. 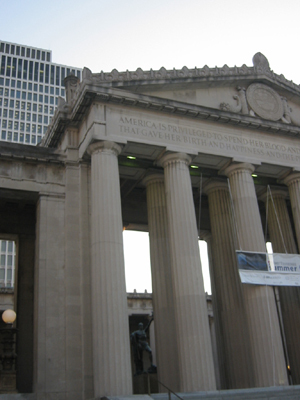 We had this great idea of going to the central Nashville, having a nice dinner and joining a ghose tour. The ghost tour turned out to be the worst idea, but we remedied that by sneaking out in the middle, going to the town center for some funky shopping and ice cream. But at least the evening views of Nashville city center was not at all bad.